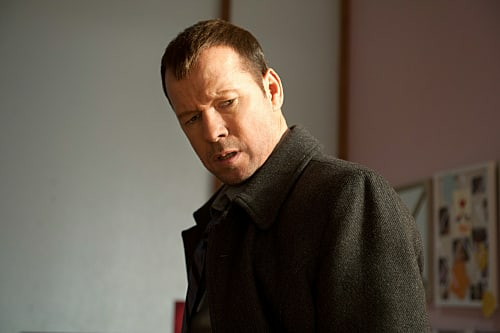 Blue Bloods Review: Who Do You Trust? Who do you trust? That is the question I was left with after "Hall of Mirrors." The episode kept everyone guessing about the amount of faith they possessed in their partner and in their family members. Does anyone else find Detective Molevsky exceptionally sleazy? With just two scenes, Michael T. Weiss has banished all reminders of his role as a good guy on The Pretender from my mind. Molevsky’s thinly veiled threats to Jamie were unnerving. Will Jamie finally go to his father about this case? If not, what more it will take? The FBI has come to Jamie about his brother’s death. 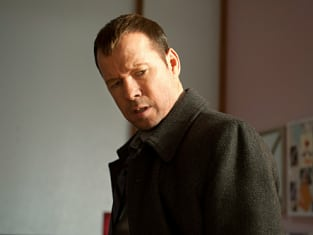 Officer Gonzalev suspiciously killed herself after talking to Jamie about the case and now Detective Molevsky is threatening him. Renzulli thinks Jamie has good intincts, but at what point do those instincts tell him he can’t handle this on his own? Although I wasn’t enthralled by the anti-terrorism investigation this week, it had its interesting moments. First, that Danny and Jackie work the Major Case division. That was never clear to me before and it explains why they investigate a diverse range of crimes. Secondly, Danny having to lie to Jackie about the case made for a unique twist. He obviously trusts her, but he has his orders to keep her in the dark about their victim being an undercover cop. And Jackie, being a detective, picks up on the Danny’s uneasiness from the beginning. She pushes him on it, but not as hard as I thought she would. As much as I think she’s hurt by the deception, I hope she also realized that he had his reasons and they weren’t personal. I’d hate for one case to cause a rift in an otherwise great partnership. While I didn’t find this week’s Sunday dinner with the Reagans as entertaining as others, I did like one scene. Erin interrupts a conversation between Frank and Danny. With one look she realizes this is business. “OK, no need to know,” and she pulls Jamie away with her. It just reminds me that this is a cop family and Erin knows when to back off without asking. So, did you enjoy this terrorist plot more than I did? Did Detective Molevsky give you the shivers, too? Crime in this town has always been about location, location, location. If she looked like a line-backer, you'd think she's nuts, too. Permalink: If she looked like a line-backer, you'd think she's nuts, too.